As a great editor once said – ‘Well if Paris is gonna go kablooey I want my best reporter right in the middle of it’ – and so SUPERMANIA brings you the lowdown on the gleaming new exhibition in France which opened to the public this week. 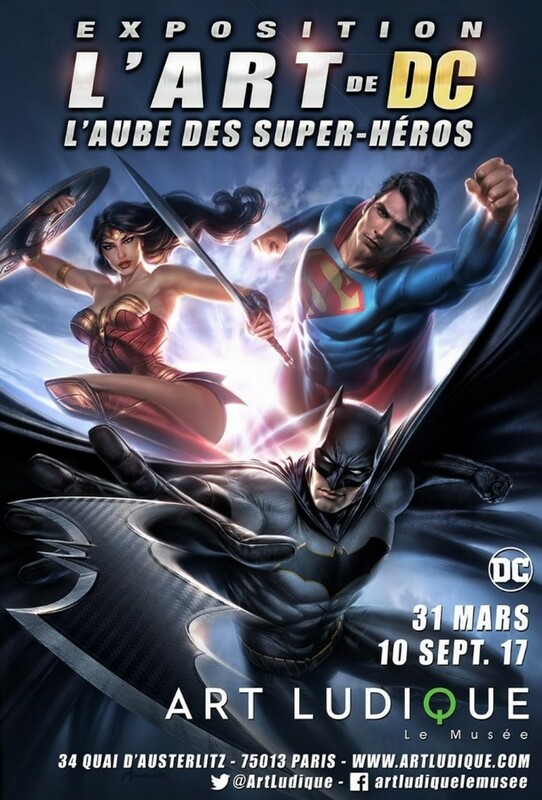 Quite out of nowhere and “In collaboration with DC Entertainment and with the participation of Warner Bros. Consumer Products, The Art Ludique Le Musee presents “The Art of DC – The Dawn of Super Heroes,” a unique world first exhibition that pays tribute to the story of DC and its iconic Super Heroes and Villains such as Superman, Batman, Wonder Woman and the Joker at the origin of a true contemporary mythology. While this may be an all-new installation some of the artefacts shown may look familiar. 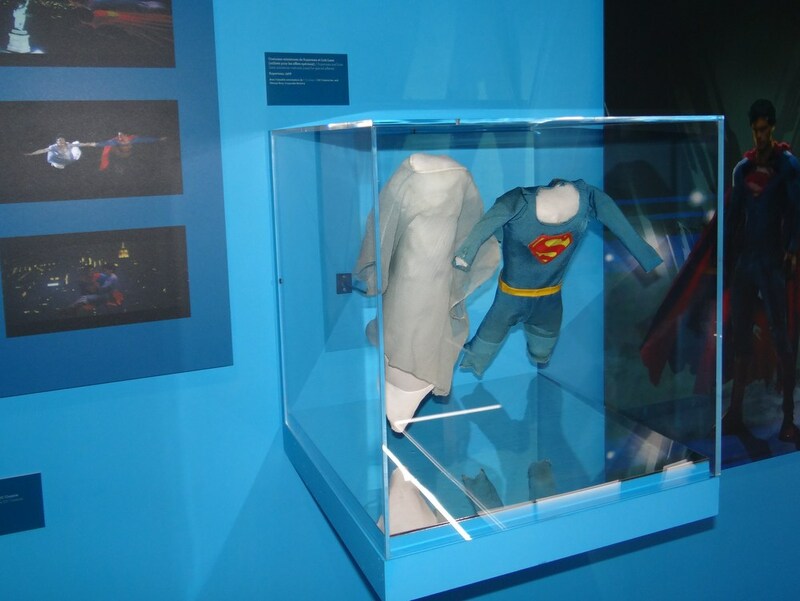 Indeed, the Superman costume is the same one remounted from the 75th anniversary showcase at comic-con in 2013. The Clark Kent ensemble, however (third pic) is more of a mystery and may be comprised of genuine suit pieces over a screenused Superman tunic completed with replacement glasses and hat.